﻿ I offer a range of Green wo﻿od courses, using only traditional hand tools set in an Ancient woodland surrounded by wonderful wildlife such as Hawfinch, spectacular views and wild flower meadows, camping and a compost loo too! Only a short walk from the town where you can enjoy pubs, cafe's and shops. Off-site courses are available too, in any location. A brochure is available with more information and course dates. I have a Gold award from craftcourses.com. Traditional English Longbow; Ash, 19/20 May 2018. You will learn how to use basic tools such as ,Axe, Bill hook, Draw knife, spoke shave and shave horse to craft and manipulate it into a working Longbow. 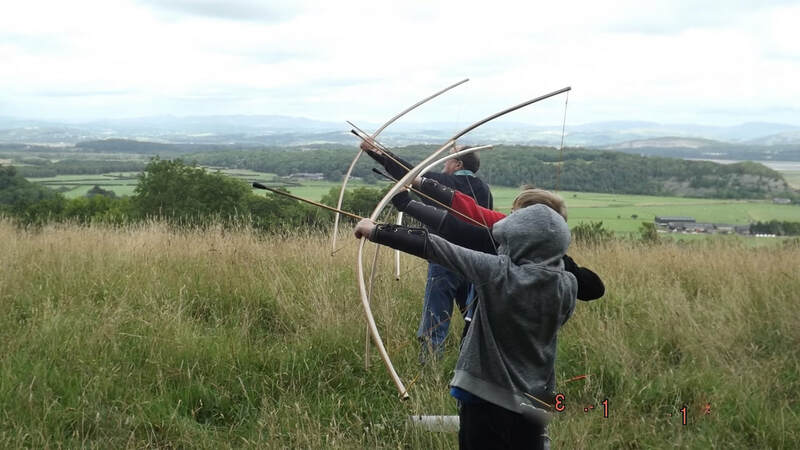 You will also learn the make the bowstring and shoot it. 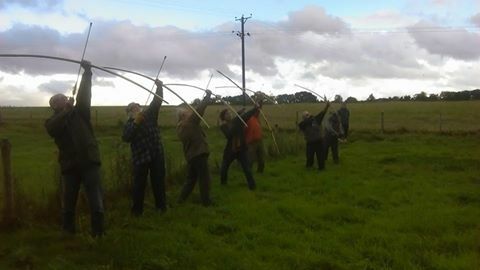 This is a 2 day course and not for the faint hearted as it can be quite physical at first, but you will learn the basics of bowyering work and learn the history behind this important historical weapon. With all tools and equipment as well as free camping and use of our on-site compost toilet. I run these courses at Greystoke cycle cafe too and they are very popular. Slightly more expensive, however a great venue and food and drink is provided throughout. www.greystokecyclecafe.co.uk You can book the Greystoke cycle cafe Longbow courses through me too, Just contact me. ﻿Other courses and workshops are available by request, such as cleft gate hurdles, spoon carving, Kuksa making, stick chairs, intro to pole lathe workshops, besom broom making, bush craft fire lighting workshops as well as Hen and stag nights or Birthday events.